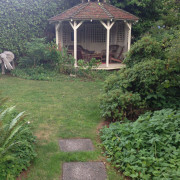 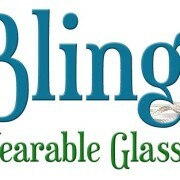 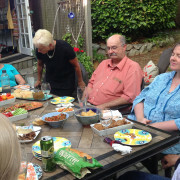 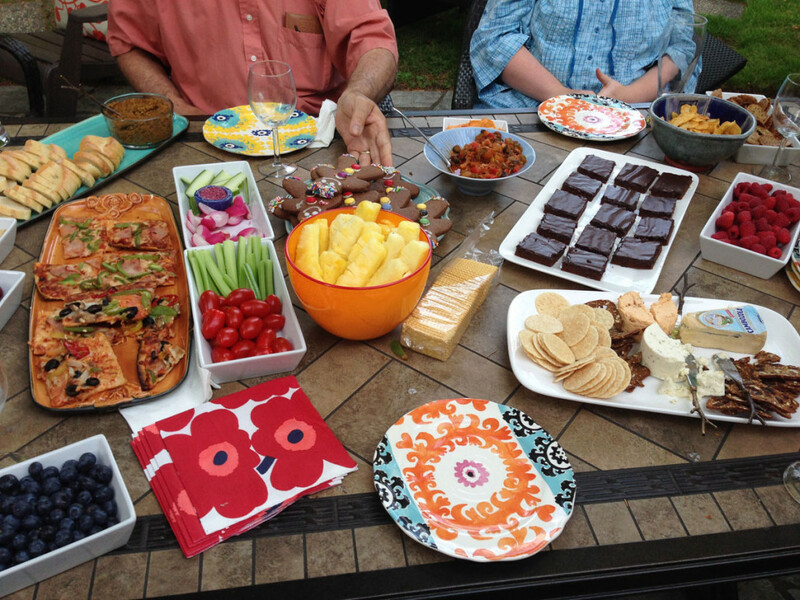 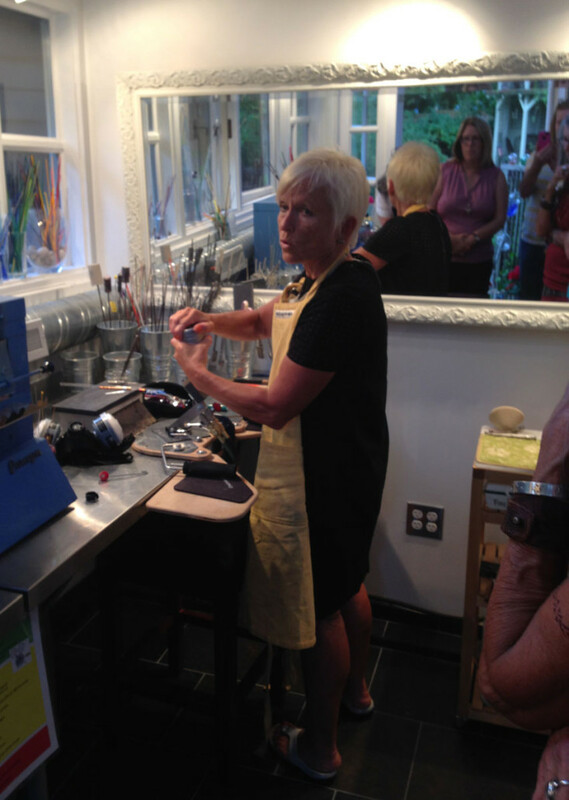 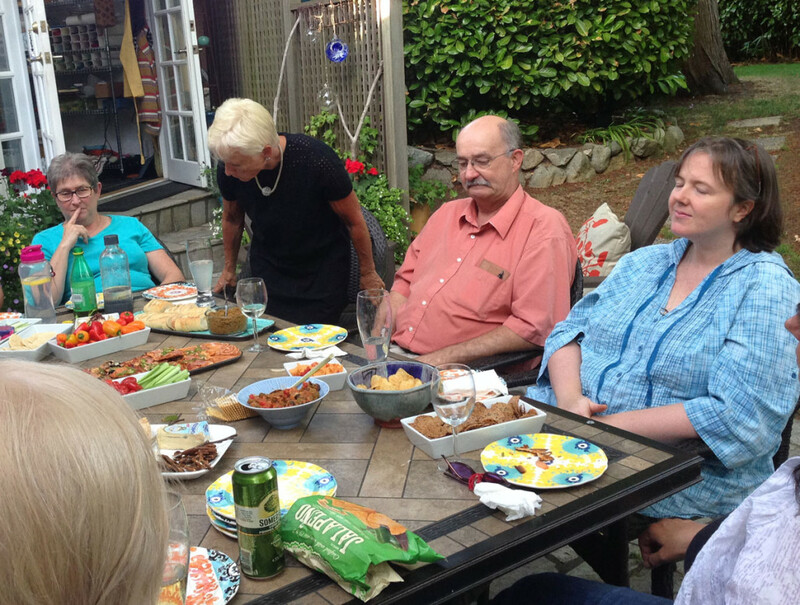 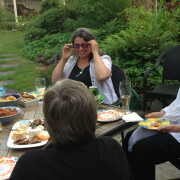 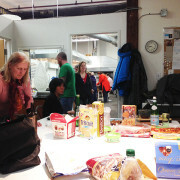 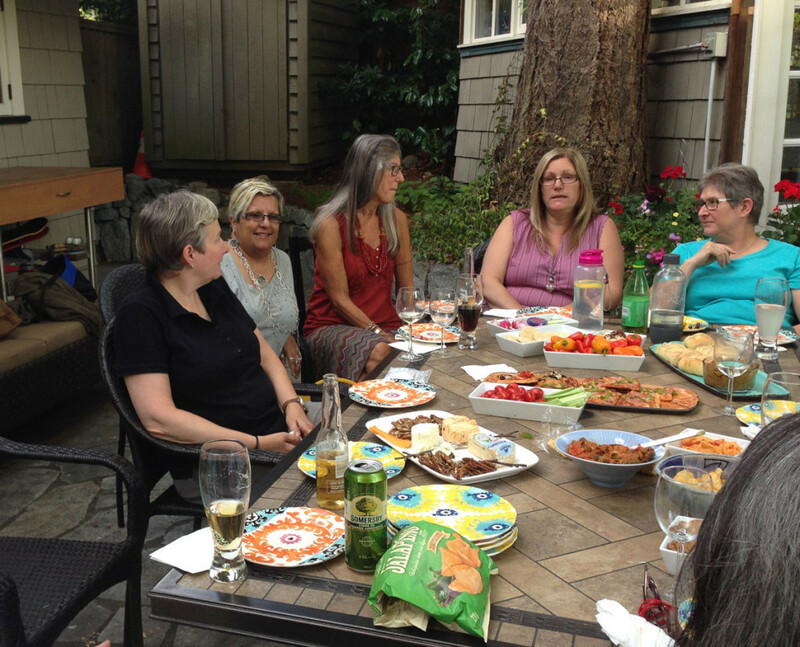 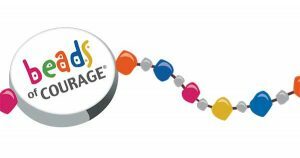 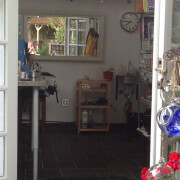 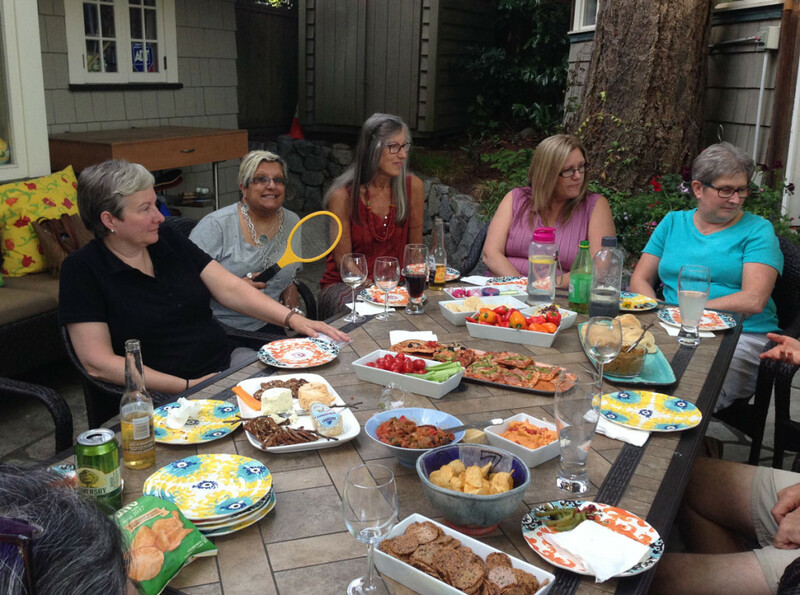 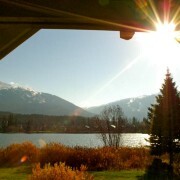 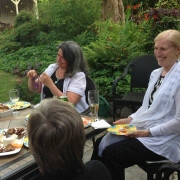 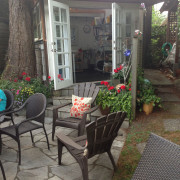 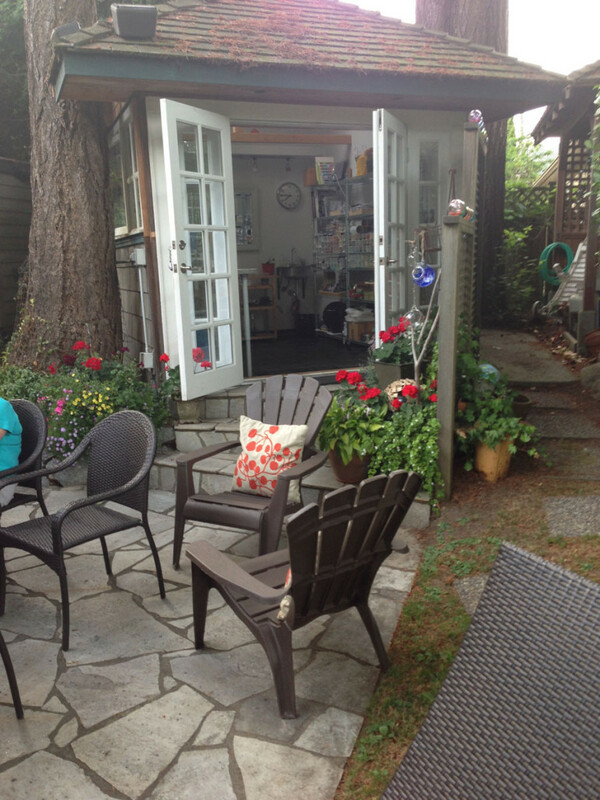 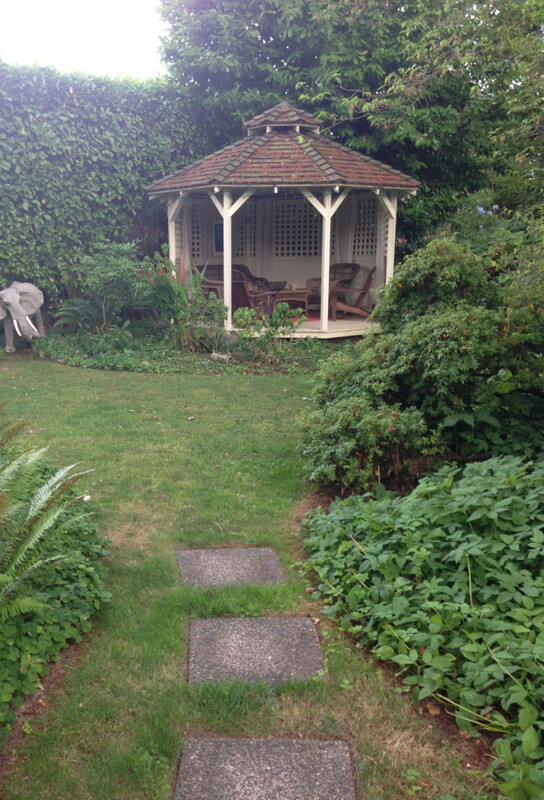 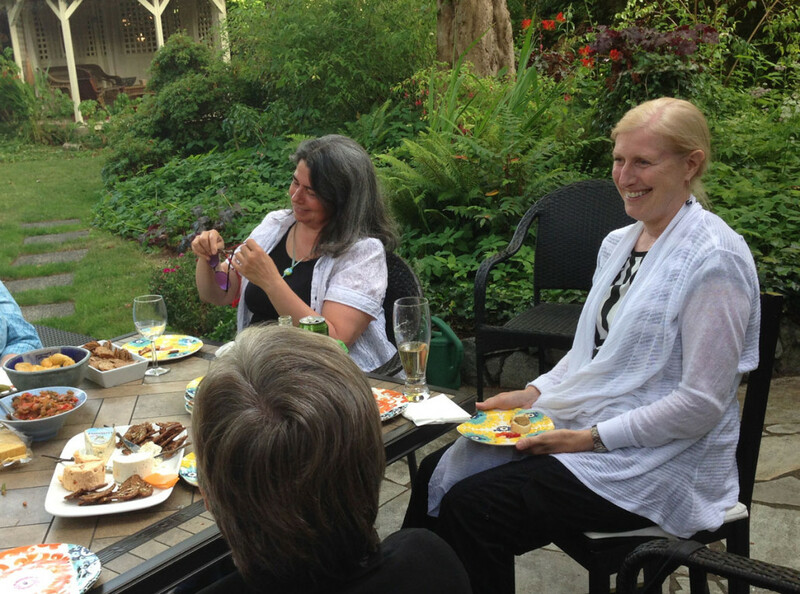 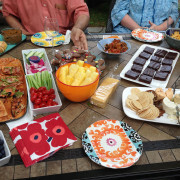 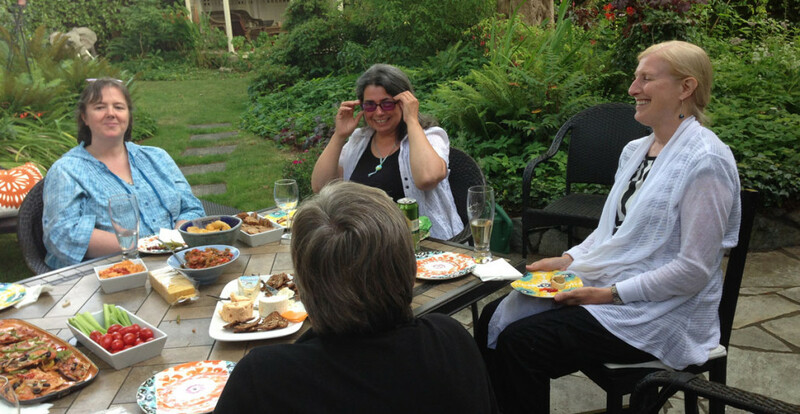 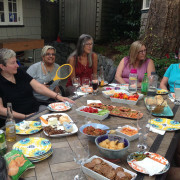 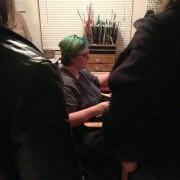 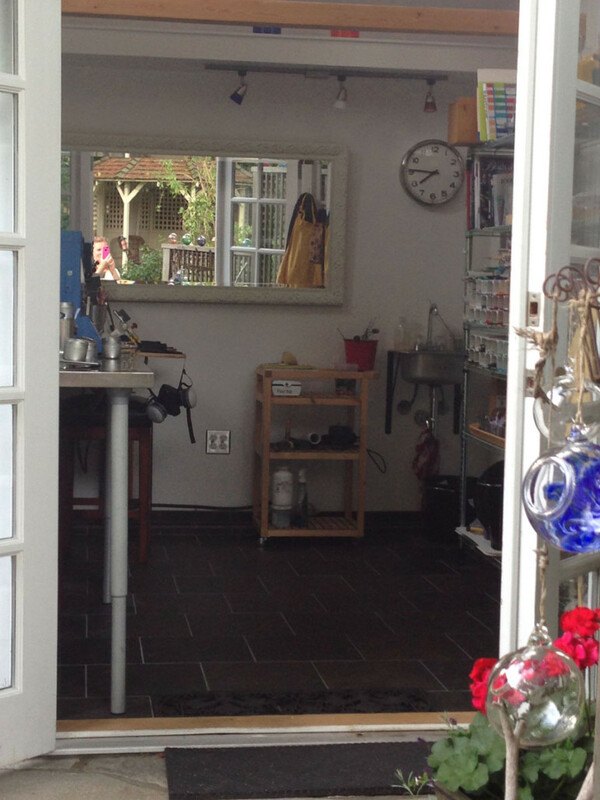 July’s Beer n Beadz was held at Elisabeth’s beautiful garden studio. 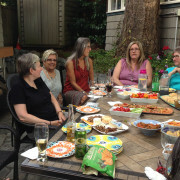 The weather was warm, the food was awesome and the turn out was large. 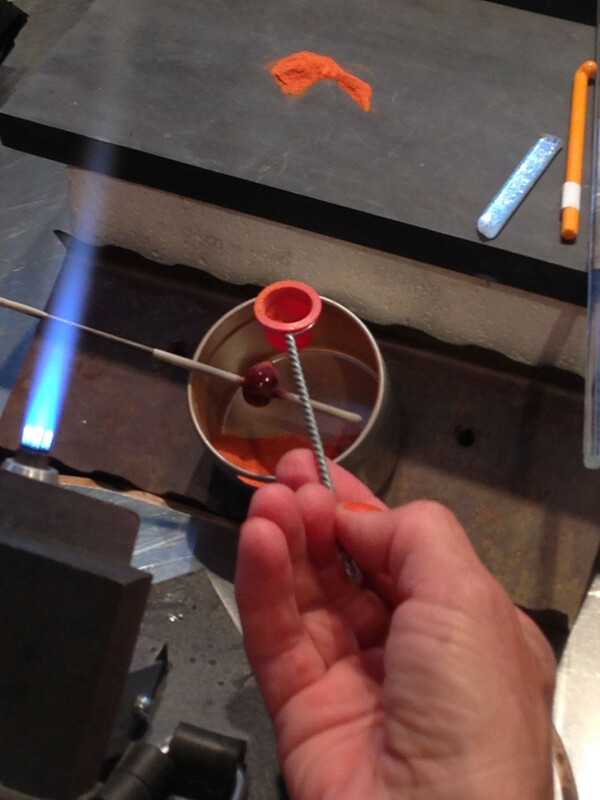 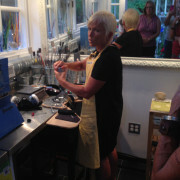 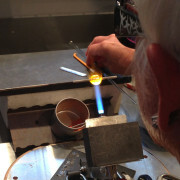 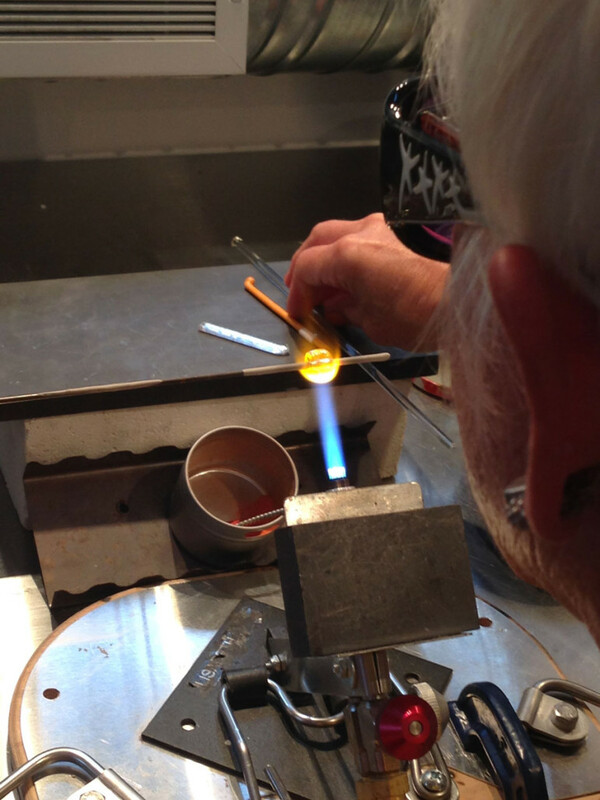 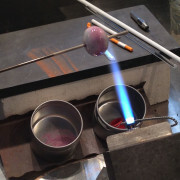 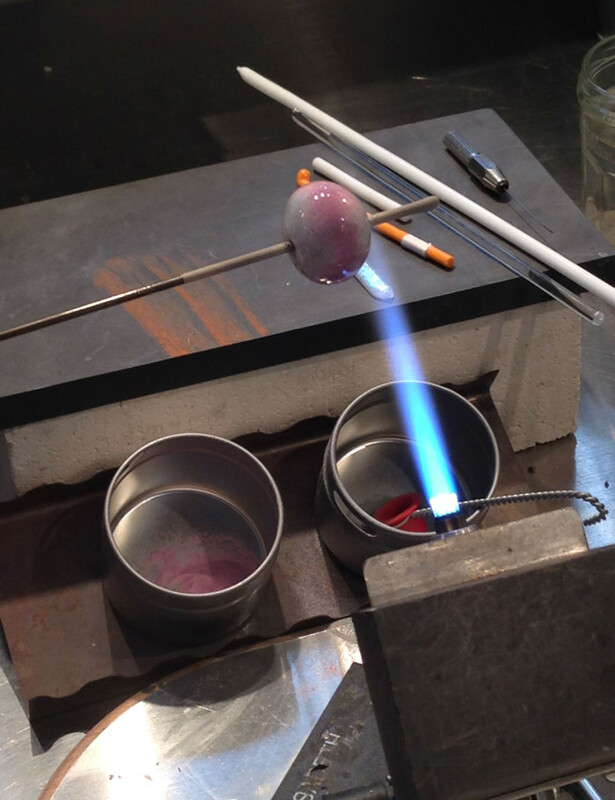 Elisabeth demo’d using enamels in glass bead making. 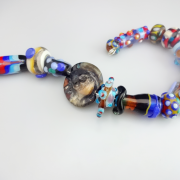 She sprinkled color on the bead she was making and melted the color in. 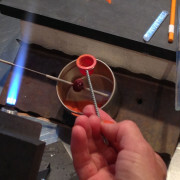 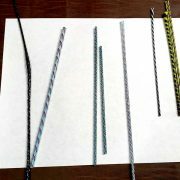 The result was a deep color in the middle of the bead and a fade of color to each end.